This is my contribution to the Flower Fest - The A - Z of Flowers for the Letter O. The oxeye daisy (Leucanthemum vulgare, syn. Chrysanthemum leucanthemum) also known as the marguerite is a widespread flowering plant native to Europe and the temperate regions of Asia. 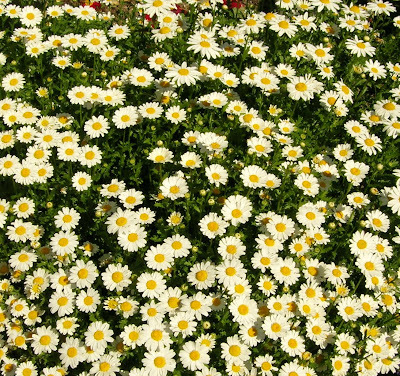 It is one of a number of plants to be called by the common name daisy. It is also sometimes called moon daisy or dog daisy. It is a perennial prostrate herb with small flower head (not larger than 5 cm) that consists of about 20 white ray flowers and numerous yellow disc flowers, growing on the end of the stem. The stem is mostly unbranched and sprouts laterally from a creeping rootstock. The leaves are darkgreen on both sides. The basal and middle leaves are petiolate, obovate to spoon-shaped, and serrate to dentate. The upper leaves are shorter, sessile and borne along the stem. It produces an abundant number of flat seeds without pappus. It spreads also vegetatively by rooting underground stems. The oxeye daisy is a typical meadow flower, growing in a variety of plant communities such as dry fields, meadows, but also under scrubs, open-canopy forests and waste places. It thrives in a wide range of conditions and prefers heavy and damp soils. It was introduced in parts of North America, Australia and New Zealand, where it is now a common weed displacing native plant species in some areas. It is difficult to control or eradicate, since a new plant can regenerate from rhizome fragments. This is one of my few drawings. 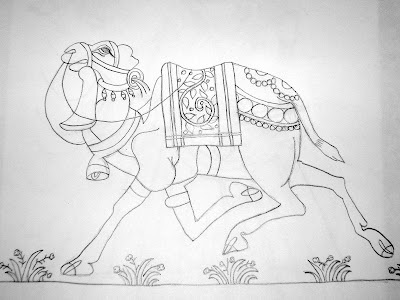 This is an outline picture of an Indian Camel decorated with royal ornaments, walking majestically with pride. 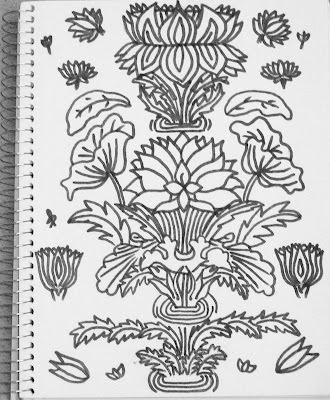 This is my contribution to Flower Fest A to Z for the letter N.
When I discovered that Lotus's botanical name starts with the letter N, just took my sketch book and started sketching the Lotus my way. I hope it looks like the flower Lotus. It's just a fantasy drawing, and I don't think the leaves look the way I have drawn. Tried my best to make the picture look symmetrical. Nelumbo nucifera is known by a number of common names, including blue lotus, Indian lotus, sacred lotus, bean of India, and sacred water-lily. Botanically, Nelumbo nucifera (Gaertn.) 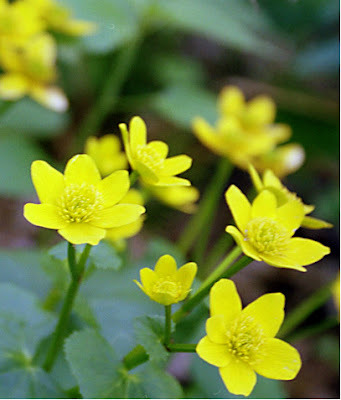 may also be referred to by its former names, Nelumbium speciosum (Wild.) or Nymphaea nelumbo. This plant is an aquatic perennial, but if its seeds are preserved under favorable circumstances, they may remain viable for many years. In ancient Egypt, Nelumbo nucifera was unknown, being introduced only at the time of the Persian invasions, late in ancient Egyptian history. The ancient Egyptians venerated the blue water-lily, Nymphaea caerulea, which was sometimes known as the "blue lotus" or "sacred lotus". N. nucifera was native to a huge area from modern Vietnam to Afghanistan, being spread widely as an ornamental and food plant. In 1787 it was first brought into horticulture in Western Europe as a stove-house water-lily under the patronage of Sir Joseph Banks and can be seen in modern botanical garden collections where heating is provided. Today it is rare or extinct in the wild in Africa but widely naturalized in southern Asia and Australia, where it is commonly cultivated in water gardens. It is the National Flower of India.